Our Top 10 Most Popular Posts of 2017 - Which Was Your Favorite? I thought it would be fun to take a look back at Miles to Memories most popular posts of 2017 while we begin the new year. All of these articles were written and published in 2017. Let us know in the comments which one was your favorite of 2017! 10. Coming in at number 10 is an article Shawn wrote about the Milk Class Action Lawsuit. Did you get in on this one? 9. The ninth most popular post was DDG showing you how to get an American Express Platinum 100k offer to appear using the Baidu Method. What is the Baidu method? Click the link to find out! 8. Double Duty Daddy’s review of Japan Airlines first class product came in at number eight. 7. The seventh most popular post of the year was by yours truly discussing the Southwest California Millions contest. Hopefully some of our readers got in on that Cali love!!! 6. Coming in at number six is a post by Shawn discussing scammers on Amazon. Be on the lookout! 5. Next up is PDX talking about American Express’ terrible web design and how it lead to disappearing Amex Offers. The easiest way to make sure the Amex Offers are still there is to log in via this portal….shhh don’t tell PDX he missed this one. 4. DDG had a great piece discussing American Express sending out upgrade offers for personal and business versions of the Platinum cards. 3. 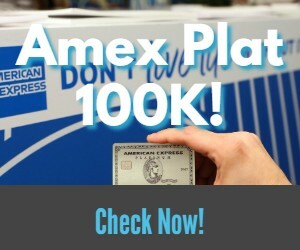 Getting the bronze is DDG’s article about American Express clawing back sign up bonus offers. This was the beginning of the Amex RAT team! 2. The silver goes to Shawn’s post about getting the American Express Platinum 100k offer to show up if the Baidu method (see post 9) didn’t work for you. First place and the gold goes to Shawn’s post about Uber’s flat fare pricing! I hope everyone had a great 2017 and that you have an even better 2018! As always, thank you for reading and participating in the comments. I am excited to see what 2018 brings to our hobby…it can’t be any worse than 2017 was for the hobby, can it? Next articleWorld of Hyatt Award Didn’t Post Properly? Don’t Panic, Do This! Your #9 link actually is (again) the class -action milk lawsuit. #epicfail – fixed it, Thanks!! I don’t remember getting anything either. I know this things usually take a long time. Hopefully we get something this year!